Having had four children I've experienced all those "firsts" four times over and I suppose most people would think that with each child those milestones become maybe a little less exciting but I'm here to tell you that they don't. Each time one occurred it was a monumental thing, some may seem small to those looking in from the outside but they can be oh so big to those experiencing them. The milestones for me began when I was pregnant because there inside of me was a living, breathing baby. I can still vividly remember the first kicks, the constant hiccups (taking after their mother from the get go) oh and not forgetting the first time they made me really need to pee! Those moments are ones that I can never recreate but the memories of them I will hold on to forever. It's a good job I can remember all them because these days I can't even remember what I had for breakfast. It seems crazy how much I can recall, from the first smile to the first steps, first word (always dad in this house) to the first time they slept through the night. 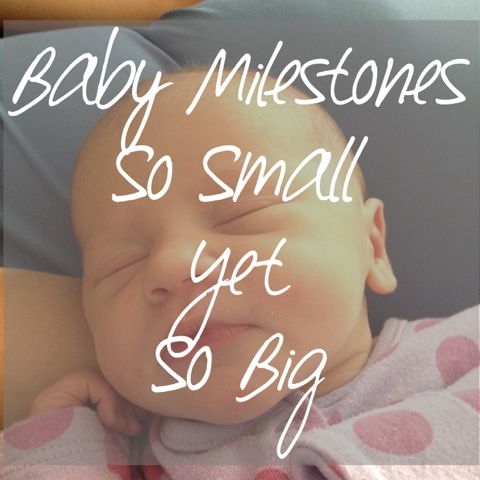 Each and every one of those milestones have been completely different each time round, sometimes utterly unexpected too, you know when you suddenly get bitten and you didn't even realise they were teething. I guess for me I began to cherish those moments a little more with each baby, parenthood has without a doubt taught me just how fleeting those times were and still are and how precious even the smallest of things can be and I know from being a stay at home mum just how lucky I've been to witness each and every one of them first hand. Being able to pick out just one milestone for any of my children would be impossible for me, each one has a special meaning. All I can say is with my youngest, those milestones just hit me harder. When I had my eldest I was almost willing her to do things quickly, I was in a hurry for her to grow up. Looking back I know that was a mistake and I almost wish I could go back and spend more time just sitting, cuddling and taking in that unmistakeable baby scent that all newborns seem to have. I've been the complete opposite with my youngest, wishing time could slow down, on the search for a pause button to allow me to take in those milestones for just little while longer, I think more so because I knew it would be the last time that I got to experience those "firsts", well from a mother's point of view anyway. I'd like to think I have bought all my children up the same but I know I've been a little less strict with our littlest daughter. Carrying her when I know she could walk. Letting her sleep in my bed because I want a cuddle just as much as she does, in a way I suppose I'm trying to make up for those lost moments with my other children through her. Of course those baby milestones won't be the last ones I get to experience, I mean I've got the teenage years to get through yet (oh joy) but they were the beginning of my children's journeys, that was when I became a mum and I suppose in reality that is the milestone I'll treasure the most, looking at those pregnancy tests and coming to the realisation that I am in fact going to be a mama, mummy, mum to someone oh so special. Each child is special whether your first or fifth. I remember my pregnancies and feeling blessed to carry a life inside of me - despite having terrible morning sickness! The time really does fly. One minute you are waking on the hour to a screaming newborn, the next you are watching them take their first steps.